Did you know that you cannot rely on the pop-up timer on your Thanksgiving turkey? 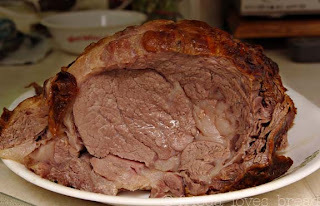 Did you know that it is very easy to cook a prime rib? It is, if you have the right equipment. I am grateful that my oven has a built-in probe to create temperature perfect roasts and meats. 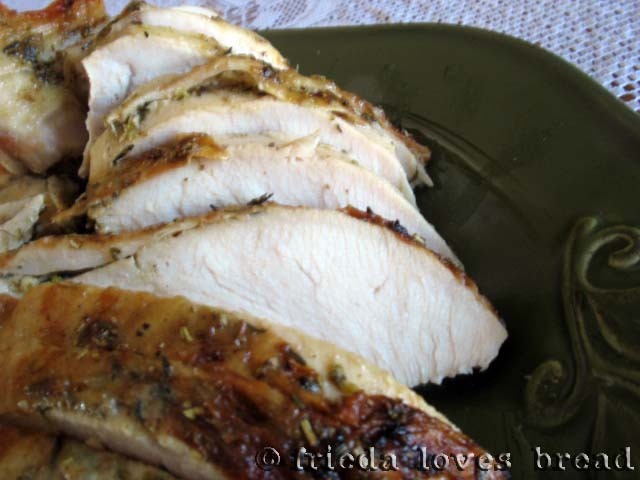 I set my oven probe to 165°F for my turkey breast, take it out, cover it with foil and it will reach the optimal 170°F fifteen minutes later. You're in luck! 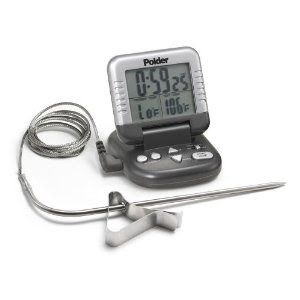 I'm giving away this ... a Polder digital oven probe/thermometer/timer! Here's the best thing ... it's not just for your oven. It comes with a pan clip, so you you can test the temperature of your yogurt, cheese, sauces, and while making candy ~ the temps range from 32°F-392°F. I think that's way cool. Oh, and it beeps when it reaches the pre-set temperature ~ no more overdone or dry turkeys! 1) Tell me how you would use this thermometer. 2) Tweet this giveaway and leave the link to your tweet. 3) Share this giveaway on your FaceBook page and leave a link. 4) Follow Frieda Loves Bread publicly via Google Friend connect. 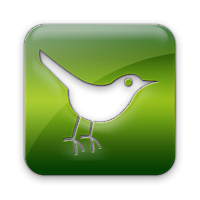 5) Follow FLB on Facebook, Twitter, RSS feed, Email or Pinterest. You choose! Ends midnight, MST on November 14, 2011. Giveaway is open to all my US readers. Please provide your email in your comments if your profile does not include one. Random.org will select one lucky comment to win. Giveaway is sponsored by Frieda Loves Bread, who has an addiction for truly cool kitchen tools. In addition to using it for meat, it would be great for bread too. A new thermometer would be great! The one I have beeps at the wrong time, so I wind up having to watch the temp, which is dangerous, as I get distracted! I use a thermometer like that, but it's super cheap and doesn't always work right. I could really use a nice new one! I would use when roasting a chicken; that's the best way to know when it's done. Just became a Facebook fan. It's almost Thanksgiving - Wahoo! This may only hurt a little bit, Mr. Turkey. What a great idea! Would love to win! I am a newly wed and soon to be mother in three months and am not the most adept in the kitchen, I need all the help I can get!! I used to have a meat thermometer and the kids broke it a couple of years ago. I would use it to cook meats..especially when I cook a roast! I love these thermometers. I'd use mine to roast to make candy and for syrup-y frosting. Thermometer are essential for good technique and food safety. Thanks for such a great giveaway just in time for the holidays. I would use this for anything that I possibly could use it for. I am in charge of the turkey this year, so that's definitely what I would use it for! I've been thinking about buying one of these. I would use it every time I roast meat. Thanks for this chance Freida. You are amazing! I would give it to my daughter, who has three kids and an unpredictable oven, and who also loves to make candy. I would use it for making candy and yogurt and everything in-between. Definitely turkey, and finding that optimal oil temperature on the stove. My hubby gave me one of these for Christmas last year and I loved using it to keep meat nice and moist and perfectly cooked, but somehow it broke, so I'd LOVE a new one! I am following you on FaceBook and I get your email newsletters. Love the blog and the recipes and tips are great. I am a newbie. 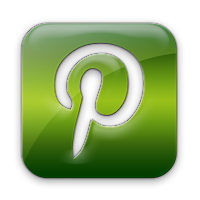 Putting your link on my blog list. Thanks for the entry. I SHARED this on my FaceBook Page! Thanks for the entry. I would definitely use it for turkey! I am following you on Google Friend Connect! You rock! Thanks for the entry. Of course I would be using this thermometer in so many ways I couldn't count them all, but mostly it would be for judging the doneness of meats. Very important. Thanks for the entry. I don't have any kind of thermometer and winning this would be a blast! I would use this thermometer to make my husband a rare Prime Rib Roast! I follow FLB via email! I liked Frieda Loves Bread on Facebook. Thank you! I would use the thermometer to test meats and when I make yogurt. Thank you! We would definitely use this not only for the turkey, but for roasts and anything we do on the grill/smoker. I would definitely use this on my turkey! I would love it for turkey but also for just regular use in my sun oven...it really helps not having to open the door too often. What an awesome timer. I could SO use this for everything. I have a fairly new oven that doesn't seem to know it is supposed to stay hot. It's been fixed but still there have been way too many things ruined because they are not done. 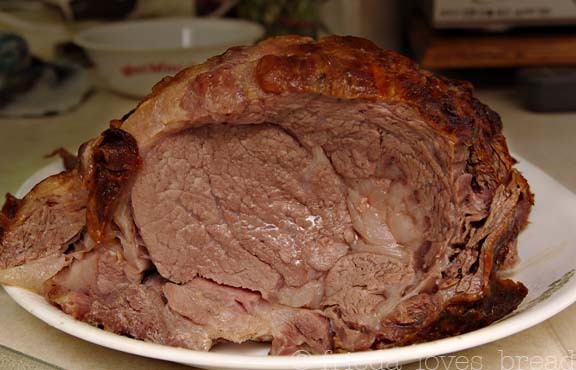 Very frustating to think a meal is done only to cut into it and find raw in the middle. I don't own an awesome thermometer like this and would use it for every meal cooked in my oven. And during the holidays when making my candies, with this I may even be brave enough to try those candies I've always been afraid to as I've never found a thermometer I trusted. This one surely would help. Thank you for the opportunity to possibly have an awesome thermometer. I am a new follower of your blog. I just found it this morning by following a link from Jamie Cooks It Up. I LOVE cooking/baking and am always looking for the next great recipe to make for my family. I love what I'm already seeing on your blog so I've subscribed via Google as well as via email subscription. Sharon: My ancient thermometer mysteriously went missing during a recent move. This one would be a magnificent replacement ...for my roasts and especially my turkey for Thanksgiving and Christmas. I would use this for Christmas dinner! I shared a link to this post on my Facebook page. I would use this to make candy. I love making candies during the holidays and a tool like this would be great. I am hosting Thanksgiving this year and I would use this for my turkey. I actually have plans to go buy one since my other one stopped working so it would sure be nice to save the money! Thanks! I would use this to make candy, I've always wanted to try making candy! The question is how WOULDN'T I use this thermometer! One of my favorite treats to cook this time of year is black licorice caramels...I would LOVE to cook those with this handy gadget!!! the possibilities are endless...turkey first...i think! I would literally use this with almost everything I cook, from meat, to whole chicken or turkey to homemade yogurt! We have used a thermometer/timer like this one for checking meat temps in the oven or on the grill and for making my homemade caramels each winter. But ours just died, so I would love to win a new one! I would use this to cook up all sorts of meat! I pinned this, and I would use this to make sure I don't give anyone food poisoning from undercooked meat!! I would use it for meat! I'd use it form my thanksgiving turkey and for when I cook meats!! Specifically, chicken - it always weirds me out when I don't know if it's cooked properly and I usually cook it until it's too dry.